Are smoothies good for diabetes? That depends. If it’s the 32 ounce variety from a smoothie chain with a drive-through, probably not. If you make it at home in your blender, is it then good for diabetes? That depends also. The ingredients that you put in it, specifically the amount of sugar and balance of protein and “good” fats, and the portion size matter. For diabetes, you should be counting your carbohydrates. You should know what a good size smoothie is for you. If you wonder what kinds of things you should put in it to make it healthier and delicious, you have come to the right place. We will help you to make nutritional sense of it all. I enjoy collecting healthy recipes for my patients with diabetes, and for my family. I have compiled a list of the best and healthiest smoothie recipes that I can find on the internet. It is almost fall, and time for Halloween! Autumn is one of my favorite seasons, and the first two smoothies on my list are made to gather the spices of fall into one. If your friends are heading out for a Pumpkin Pie Latte, why not make your own healthier smoothie and invite them to try it? First, let’s see what Brenda’s been drinking. What kind of smoothie did Brenda have? Brenda came into clinic. She was proud of herself because she was drinking smoothies. She had heard they were healthy. Her A1C was still a 9. Her fasting blood sugar was 197 mg/dl. “What kind of things do you put in your smoothie, Brenda,” I said. “Well I put a banana in, and a half cup of blueberries since they’re in season,” she said. “I have to put a few spoons of sugar in cause the blueberries are a little tart, a little early. You know, I put in some honey from the bee keeper down the road. Now I had to think. Brenda didn’t have horrible ingredients, but her portions were huge! I took a deep breath. “Do you know how to count carbohydrates,” I said. “Ok,” I can’t drink it all anyway. Brenda liked the smoothie, and with the added protein, the smaller portion filled her up. She came to class. She learned how to count her carbohydrates. She learned the portion sizes for smoothies, and learned to make some smoothies where the portion sizes weren’t so small, because they were lower in carbohydrates. What Can I Put In My Smoothie That Is Healthy For Diabetes? I love the smell of pumpkin pies baking around Halloween and Thanksgiving. It brings with it a sense that autumn is here, and the leaves change as the air chills. 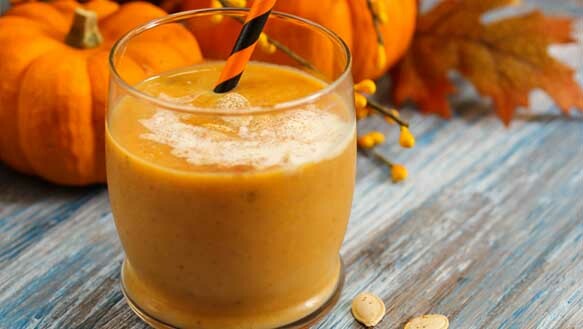 If you would like to wake up to the smell of pumpkin pie, without all the baking, try Pop Sugar’s Pumpkin Pie Smoothie. This one is healthy and delicious.It is loaded with fiber and protein, and low in calories and fat. There are no Trans fats in this non-dairy smoothie. It’s low in salt, and has absolutely zero cholesterol. A good source of potassium and Vitamin A, it’s also packing around 20% of your daily calcium needs, and about 15% of your daily iron requirements. 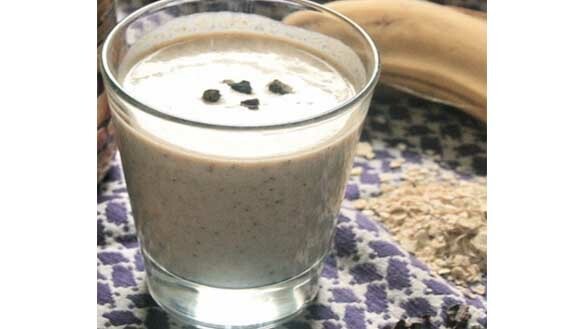 It comes in at 181 calories, not bad for a protein-packed breakfast.You can make it in minutes for a meal replacement anytime.The carbohydrates in this smoothie are 36.9 grams. I would recommend it for a lean breakfast.It may be part of a weight loss routine. I would not recommend it for a snack, as there are too many carbohydrates in the recipe for a snack. You could cut the carbohydrates by adding an artificial sweetener as a substitute for honey.That would cut your total carbohydrates by 8 grams, bringing the recipe in at just under 29 grams. That is still a bit much for a snack, unless you are doing vigorous activity, in which case it would be fine to use. The protein in the shake makes it great for muscles. The half banana could be frozen, or use a ripe banana. I like to add a few ice cubes to chill it up even more. Sweet potatoes are good for diabetes, but they do contain carbohydrates. Portion size is key. They are loaded with fiber, and Vitamin A, and they have a natural sweetness, with a smooth texture.By adding almond milk to this smoothie, you add protein and “good” fat to your diet. Good fat increased HDL, or good cholesterol numbers. Almonds are loaded with good fats, and almond milk is a great source for them. Bananas are packed with fiber. Frozen bananas further chill your smoothie. Bananas are also loaded with vitamins. Almond butter or natural peanut butter further adds good fats and more protein. Cinnamon has been studied, and is controversial related to its blood sugar lowering ability. Whatever the case, it’s a great spice and certainly not harmful. It will give your sweet potato smoothie a fall aroma, and get you reminiscing about family visits at Thanksgiving. It may even help lower your blood sugar some. This recipe doesn’t have any nutritional information with it, but all of the other ingredients are described in this article. The carbohydrates and calories should also come out to be similar to other smoothies described. Kale is a leafy green, which also brings up memories of fall. After the first frost, the greens are harvested. We usually had mustard, turnip, or most often, collard greens. You could substitute the kale in this recipe with fresh collard greens. In the South, we think of kale as an ornamental vegetable to make your plate look pretty, similar to the red apple ring garnish. However, many people have embraced kale in more urban areas. The good thing is, if you don’t like the texture or taste or kale, you can mask it by blending it finely, and adding fruits to your mixture. You won’t even know there are greens in your smoothie! Peanut butter is packed full of healthy protein and fat. It would be recommended to use a natural peanut butter that is less processed, and has no added sugar. 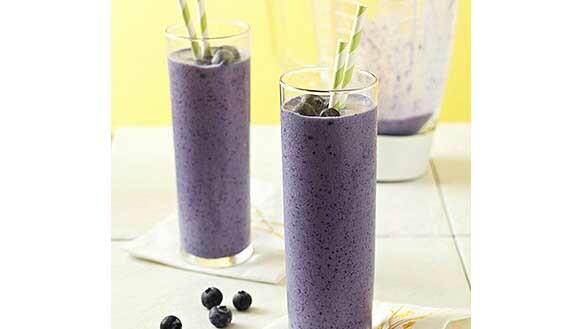 Combine that with fresh or frozen berries for a super dose of antioxidants and vitamins, and a boost of fiber, and you have a healthy yet delicious smoothie. Tofu provides added protein and texture, and again, we see almond milk as an ingredient. It brings up feelings of mom’s peanut butter and jelly sandwiches, with the grape juice for sweetness giving it that nostalgia. Peanut butter is low in carbohydrates, at about 6 grams per two tablespoons. It does have some of all of the kinds of fats (monounsaturated, polyunsaturated, saturated). There are good fats in the mix that promote HDL cholesterol, or “good” cholesterol in your blood stream. Saturated fat is about 16% of daily allowance. Peanut butter provides some B6 and magnesium, and is low in salt.I live in an area of NC where blueberries are king. There are blueberry farms on the back roads in the interior of our coastal countie, and I have visited many farm workers to discuss their diabetes.We have a fall Farm Worker and Spanish speaking diabetes class that I teach, and they always give me fresh blueberries when I go out to visit the camps. Besides being antioxidants, blueberries provide Vitamin K, Vitamin C, and manganese. They are a fruit, so they have fiber. A surprising mineral found in blueberries that our bodies need in small amounts is copper. Blueberries do have carbohydrates, and fruit sugar. This smoothie has around 30 carbohydrates, and should be used as a meal replacement for breakfast, or any other meal where you crave a peanut butter and jelly combination. For a crisp refreshing, salad in a glass, try cucumber, mint, and melon smoothies. Cucumbers are cold and crisp. I love to infuse water with them. For nutrients, they are a good choice for Vitamin A, phosphorus, manganese, and magnesium. They don’t have any fat, salt, or carbohydrates. They pack a lot of fiber into your diet.Honeydew melon is a low glycemic index fruit. There are only about 60 calories in a cup of it, and only about 12 grams of carbohydrates. It’s mostly made up of water, but loaded with fiber, and other minerals. You get some copper, B vitamin thiamine, phosphorus, niacin, and pantothenic acid. I know what you will say about this next ingredient, but hear me out. Cauliflower, (yes I said you are going to put cauliflower in this smoothie) has 77% of your vitamin C needs daily. It’s also a good source of vegetable protein, Vitamin A, Vitamin K, riboflavin, and thiamin. There is also B6, folate, phosphorus, and magnesium. You will be grinding the cauliflower up very finely. The other flavors will mask what you may have as a visual for a glass full of cauliflower. Just try it, trust me! I did. I will say it was surprisingly refreshing, and I will make this smoothie again. Nutritionally, mint leaves have a trace amount of vitamin A and C, but they are great to flavor this smoothie. This recipe has cherries, one of my favorite seasonal fruits. Cherries are good for you, and provide a wide variety of dietary benefits, including adding fiber to your diet, and 16% of daily Vitamin C. There is no fat, and no salt in cherries. They provide just 90 calories and 22 grams of carbohydrates per cup. A half cup serving is usually an ample amount when added with the other ingredients in this smoothie. Avocado may seem to be an unlikely pairing with cherries, but you will be pleasantly surprised at the taste. Avocados are good for you, but they are very high in fat content. Therefore, portion size with avocado is important. I love strawberries. They just look healthy. So red and juicy! If you like strawberries, you will love this smoothie. I also enjoy the combination of strawberries and bananas. The bananas make for a nice texture in this chilled drink. Tofu, flaxseed, skim milk, and a helping of ice cubes round out this smoothie. Strawberries nutritionally contain fiber, vitamin C, A, folate, and potassium. They have less than 12 grams of carbohydrates per cup of berries. Strawberries may promote heart health, prevent certain cancers, and help to regulate blood glucose. Still, some people have an allergy to strawberries, and must avoid them. 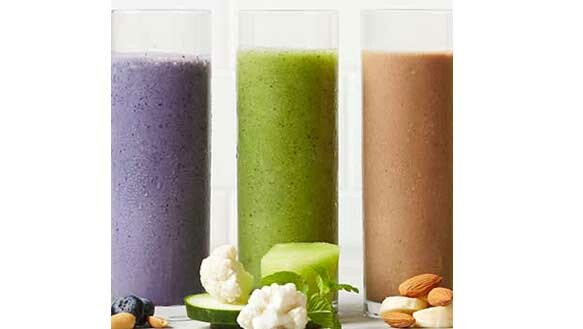 For the ingredients to make these 8 smoothies, refer to the link to the website for each recipe. It’s good to make a grocery list, and get prepared. It’s also a wonderful way to jump start a weight loss program. You can replace any meal with each of these smoothies, which all should be around 30 carbohydrates per serving. 1. How do you make a pumpkin pie smoothie? This one is my favorite, so I will start with it. First you need a ripe banana, about half of it. Open a can of pumpkin puree, and put the pumpkin puree, and the half banana in your blender. The recipe calls for unsweetened soy milk or coconut milk. I am not recommending the coconut milk, but prefer for diabetes that the unsweetened soy milk be used. It has less saturated fat. Put in a teaspoon of pumpkin pie spice, and I prefer a half teaspoon of vanilla extract instead of the quarter teaspoon listed in the recipe. A half tablespoon of honey, and several ice cubes (I use at least 3 or 4), and blend it all together. This is a fall morning treat that you won’t want to miss. I like to make it in the morning, and curl up with a book and some hot coffee, then take my morning walk with my cockapoo, Bear. I think you will find a way to enjoy this smoothie, too. 2. How do you make a sweet potato smoothie? This one calls for half a frozen banana, and a half a cup of almond milk, placed in the blender. You can freeze your bananas for all of the smoothies that contain them. 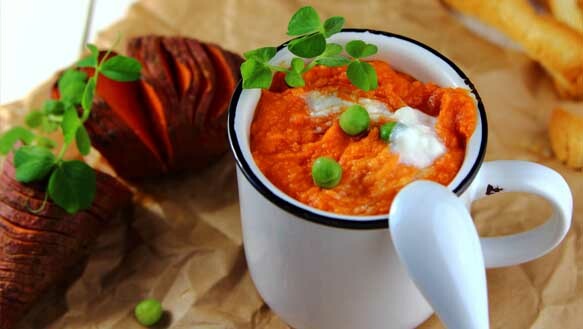 You can use a half cup of sweet potato puree from a can, or you can cook and mash your own sweet potatoes. This is the healthiest option, and avoids any processed foods.One tablespoon of natural peanut butter, or better yet, almond butter, and a half teaspoon of cinnamon to spice it up, and you’re ready to turn on the blender for a few whirls. I like to put a few cubes of ice in mine, as I want it to be frostier than the frozen banana alone makes it. 3. How do you make a kale smoothie? 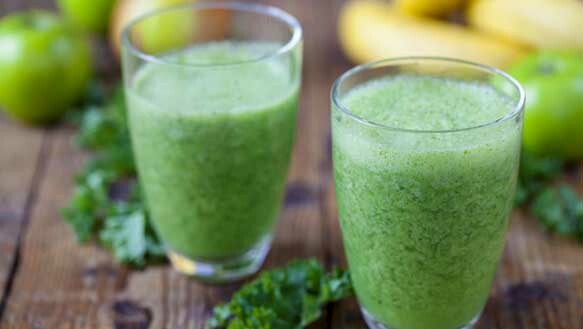 For this “green” smoothie, place a half a cup of unsweetened almond milk into your blender, along with a small orange. You could use a cutie orange. Now put in one cut of chopped raw kale, or you could use spinach. Then put in a half a cup of fresh or frozen mixed berries. You can use a mix of strawberries, blueberries, and raspberries. Last, add a half a cup of Greek yogurt for a protein-packed breakfast, or pre-exercise snack. Blend all together in a blender, and I usually add a few ice cubes. If when you think of smoothies, you think of a frozen treat, add some ice cubes into yours as well. 4. How do you make a peanut butter and berry smoothie? This one is called a PB and J Smoothie. To make it, simply place 6 ounces of light silken tofu into your blender. Place in two thirds cups of fresh or frozen blueberries (you can freeze the fresh ones). Place 1 and one fourth cup of vanilla flavored almond milk (or you could use regular unsweetened almond milk, and add in your own vanilla flavoring). One half cup of grape juice will give it some sweetness also. Add in a half cup of crushed ice, give the blender a whirl, and voila! This one is a winner. You could garnish with a few fresh blueberries for show. 5. How do you make cucumber, mint, and melon smoothie? To make this smoothie, coarsely chop fresh cauliflower in your food processor. Add in two cups of fresh and ripe honeydew melon. Thinly dice one large, fresh cucumber, and place it in the food processor with the rest of the ingredients. Add in a half cup of fresh mint leaves from your garden (or produce section of your grocery store). Add in a fourth a cup of water, 2 to 3 tablespoons of honey to taste, and a cup of crushed ice. Blend all in the food processor, and serve right away. This recipe makes four servings. 6. How do I make a green tea and cocoa powder smoothie? For this smoothie, place a cup of almond milk into your blender. Add in one tablespoon of unsweetened cocoa powder. Place in one tablespoon of green tea. I found that a handful of frozen raspberries is about a fourth a cup. You can add up to a half a cup of raspberries. I prefer to, because I love them. Blend all this with a few ice cubes, and you have a tasty treat with some insulin resistance lowering powers to boot. 7. 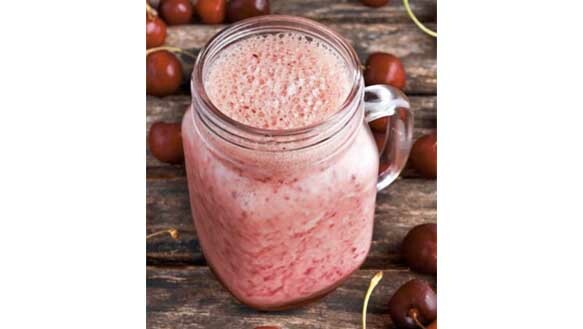 How do you make an avocado, cherry, and almond smoothie? You can blend avocado into your smoothies, and this recipe does just that. Place 1 cup of frozen fresh cherries, pitted, into your blender. Place in a half a cup of frozen blueberries, then add in a half of an avocado. Top this off with one cup of almond milk, and give the whole thing a few spins with the blender. Enjoy! 8. How do you make a fruity flax seed smoothie? 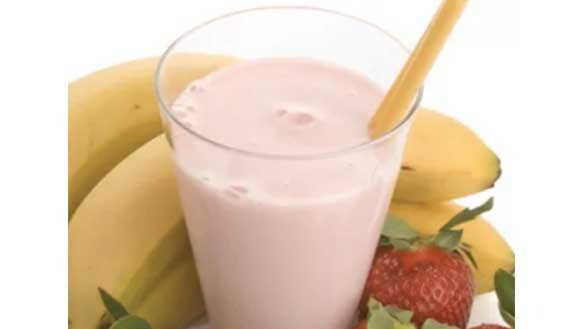 For this smoothie, start with 1 and a half cups of fresh strawberries, cleaned and de-capped, and a half a banana. Freeze the fruits for the best effect. Add into your blender a half a cup of tofu, and 2 tablespoons of ground flax seeds. Add in 2 tablespoons of skim milk, 2 teaspoons of honey, add in a cup of ice cubes or crushed ice, and turn on the blender. Fresh, strawberry goodness! Now that we know how to make some healthy and delicious fresh smoothies, let’s look at some tips for making them healthy. You can apply these tips to any of the recipes, to ensure that you are making the very best for your health with diabetes. Here are some tips for making great healthy smoothies. Make sure you watch for the carbohydrate content of your smoothie. Be sure to avoid adding extra sugar, especially of the white, raw, and processed variety. You also need to keep track of the amount of fruit sugar, or fructose, and the amount of lactose, or milk sugar that goes into your smoothie. All of these are sugar, and raise blood glucose. In general if you keep the carbohydrate servings to 3 or less, you will be doing ok on your smoothie. What kind of protein is good to put in a smoothie? Always add in your protein when you are making a smoothie. The protein helps to balance the carbohydrates. It prevents the carbohydrates from causing a huge spike in your blood glucose by slowing how fast they are absorbed into your blood stream. Adding in a wide variety of animal and plant proteins will also help to slow the absorption of carbohydrates. Protein from Greek yogurt, non-fat yogurt, other milk products, tofu, flax and other seeds, whey protein, and other bean proteins can ensure that you get the healthiest proteins in your smoothie. Are there some fats that are better than others to put in smoothies? Some fats are better for you than others. You want to try to add the good fats into your diet. These are the ones that raise your good cholesterol, or HDL cholesterol. Eating the good fats versus the bad fats can actually help your liver process out more of the saturated and Trans fats that you eat. The good fat carries the bad fat out, so to speak. Natural almond butter or natural peanut butter will add some good fats to your smoothie. Chia or flax seeds, avocados, or pecans, walnuts, and other nuts can add good fats. I don’t particularly recommend coconut oils or milk, due to a tendency to elevate LDL cholesterol. Make sure to add some fiber, meaning fresh or frozen fruits and vegetables to your smoothie. Fiber will help to keep you full. All varieties of nuts and seeds also contain fiber, and can be added to your smoothie. What kinds of low glycemic fruits and vegetables are good to put in a smoothie? A low glycemic food raises your blood glucose more slowly than a high glycemic food. Fifty or less on a glycemic index is considered to be ok.
Cherries, pears, grapefruits, and plums will do the trick. Apples, strawberries, oranges, and raspberries also have a low glycemic index. Vegetables with a low glycemic index include spinach, cabbage, kale, broccoli, and green peas. Pumpkins and carrots also make the list. 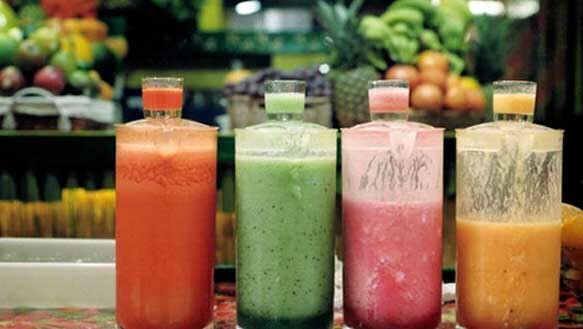 We hope you try to make some of these smoothies at home, and let us know how you liked them. How did they affect your blood glucose? 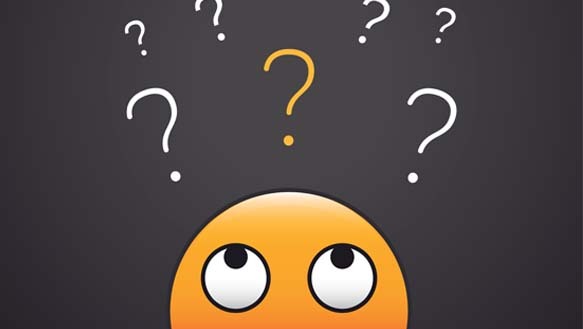 If you have previously drank the high carbohydrate version of smoothies, do you see a difference in how it affects your blood glucose with the addition of protein? Let us know your weight loss results as well in the comments section below. Disclaimer: watch for food allergies of any kind, but especially to nuts, milk products, and proteins, glutens, and other common food allergies. 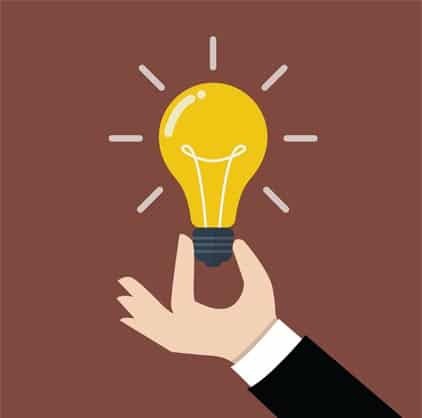 If you have Celiacs Disease or ulcerative colitis, or anytime you are in doubt about what foods you may eat, consult with a registered dietician. Still too high in carbs. Can’t believe you use a banana. These are not for keto diet. That will be another article. Thank you, though.